Savvy Spending: JCP: Coupon Giveaway on Saturday, 4/13! Get $10 off, $20 off, or even $50 off! 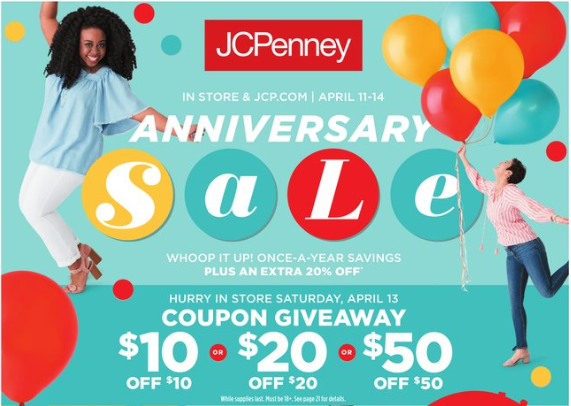 JCP: Coupon Giveaway on Saturday, 4/13! Get $10 off, $20 off, or even $50 off! Tomorrow, Saturday, April 13th, JCP will once again have a Coupon Giveaway! While supplies last. Coupons are limited to one per customer, age 18 and up.